Wingecarribee Shire Council and the NSW National Parks and Wildlife Service are celebrating World Environment Week this June with a Week of Wonderful Walks and Talks. World Environment Week is in celebration of the UN-recognised World Environment Day held on June 5. This year’s World Environment Day theme is Connecting People to Nature and encourages people all over the world to get outdoors and rediscover the beauty and value of our natural environment. “From the stunning waterfalls of the Illawarra escarpment to the rugged beauty of Mount Alexandra and beyond, the Southern Highlands truly is a bushwalker’s paradise,” said Council’s Environmental Projects Officer, Joe Stammers. Starting on Monday 5 June, join local guides on a free two hour stroll along Mount Gibraltar’s Heritage Walk. Meet at 10am in the lower car park on Oxley Drive in Bowral. Also on Monday 5 June the Fitzroy Falls Visitors Centre is inviting residents to join them for their West Rim Walk. Bring along a gold coin donation and meet at 10am or 1pm at the Fitzroy Falls Visitors Centre. Tuesday 6 June will see a free one and a half hour Meditation Walk held at Lake Alexandra in Mittagong. Meet at 10am under the main shelter. The free Wingecarribee River Walk will be held later that same afternoon at the beautiful Cecil Hoskins Nature Reserve. 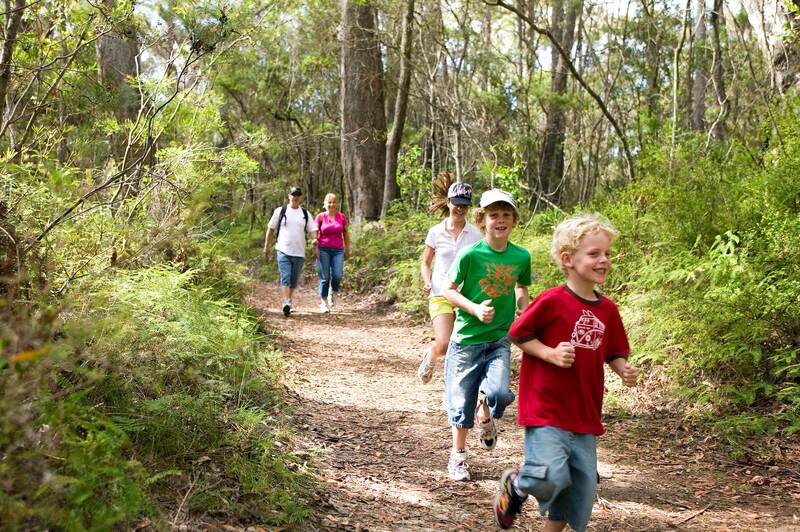 Meet at 1pm at the Cecil Hoskins Nature Reserve picnic area on Argyle Street in Burradoo. On Wednesday 7 June BirdLife Southern Highlands will host a free guided tour of local birdlife at Mansfield Reserve in Bowral. This free workshop will kick off at 9.30am from the entry to Mansfield Reserve in Bowral. Later that afternoon Botanist Greg Stone will lead a group on a free two-hour Gibbergunyah Flora Walk. Meet at 1pm in the Bowral Golf Course car park on Boronia Street in Bowral. Participants wanting to discover the Box Vale Track Discovery Walk can do so on Thursday 8 June. This four and a half hour walk will meet at 9.30am at the entry to the track on Box Vale Road in Woodlands. On Friday 9 June a free River Walk will be held at Berrima. This two hour walk will start at 10am at the Berrima Reserve Camping Ground on Oxley Street in Berrima. On the evening of Friday 9 June join retired CSIRO scientist Dr David Tranter for a free lecture and discussion on Speaking to the Earth. Meet at 6.30pm in the Henrietta Rose Room on Bendooly Street in Bowral. Wrapping up the week on Saturday 10 June is the Kids Ranger Day at Fitzroy Falls. Cost is $10 per child plus a park user fee of $4 per vehicle. Meet at 10am or 1pm in the Fitzroy Falls Visitor Centre car park. Rounding out the week of events will be a free Waterfall Photography Workshop which will be held on Saturday 10 June. Highlands Adventure Co will host the four hour workshop from 10am at the Gambells Rest car park. Don’t forget to bring your camera. Bookings are essential as places are limited. Phone Fitzroy Falls Visitor Centre on 4887 7270 to register or visit www.wsc.nsw.gov.au/events/world-environment-week for more information.